My husband and our friend Bill had shared a fine day’s fishing courtesy of Bill’s family friend Glenn Smith of Taylor Creek Fly Shop in Basalt, Colorado. The fellows had a great time and luckily Glenn and his lovely wife, Serena, were able to join us for dinner that evening in Aspen. 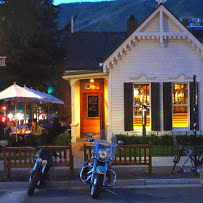 Glenn recommended The White House Tavern, Aspen, Colorado. What a good choice! 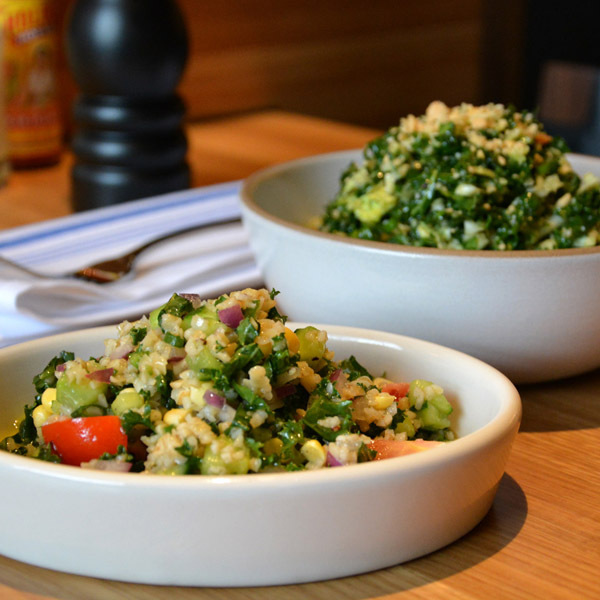 It was a very long time since I had last been to Aspen and it was my husband’s first visit, so we were happy to have a recommendation from a local. 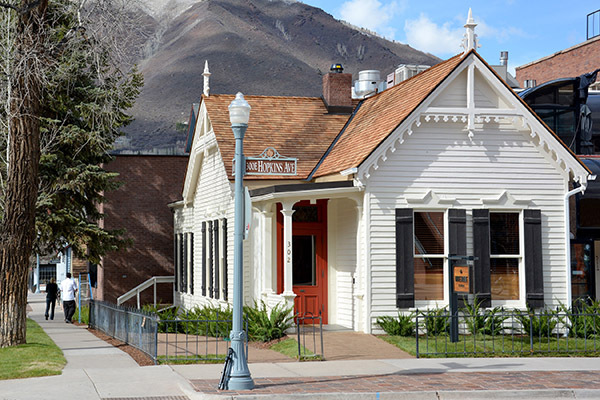 The White House Tavern is quite small and is situated in the historic A.G. Sheppard House at 302 East Hopkins Avenue, Aspen. Throughout its history the building has been used for both commercial and residential purposes. The building was constructed in 1883 on a lot purchased from Isaac Cooper for $300 and served as a miner’s cottage at the turn of the century. It remains one of the oldest structures in Aspen. The White House Tavern is an example of the Carpenter Gothic Style. This is characterized by wooden interpretations of Gothic structures. Carpenter Gothic homes feature steeply pitched roofs, jig-saw cut trim elements and white color schemes with brightly coloured accents, such as the red door on The White House Tavern. We were very impressed by the mixture of traditional and modern here. You can see into the kitchen and the lighting is strikingly modern and interesting in such a historic building. The White House Tavern is not large and the six of us required the largest table in the place. Due to the small size, the venue does not accept reservations. However, we arrived early so managed to avoid having to put our name on a waiting list, this is customary if all the tables are occupied. Bar seating is also available on a first-come, first-served basis. 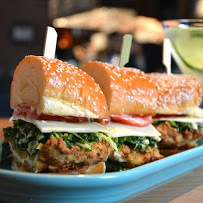 The White House Tavern menu offers premium sandwiches, salads and dips along with distinctive wines, beers, and cocktails. They even adapted one of their sandwiches for me to a vegetarian version. It was delicious. We all enjoyed our meals and the lively and convivial atmosphere, exhibition kitchen and interesting artworks in the warm, wood paneled space that is The White House Tavern. We all had a lovely evening and, if you are in Aspen, I highly recommend The White House Tavern.